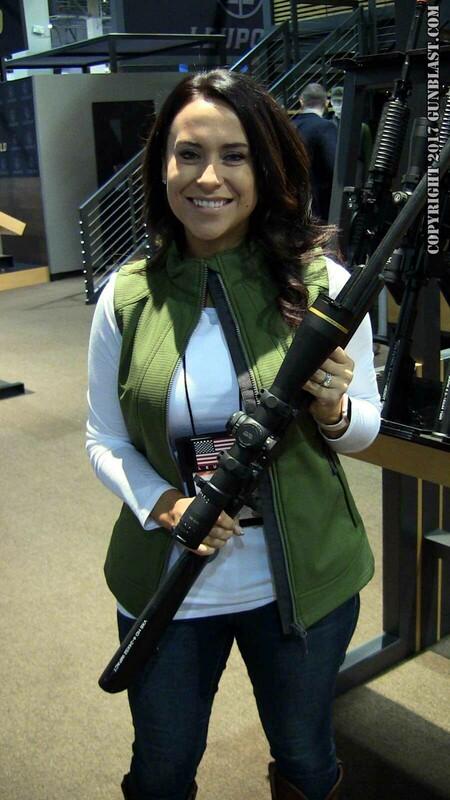 SHOT Show 2017 "Industry Day at the Range"
Riza Lesser with Leupold's new VX-6 HD 4-24x Scope. 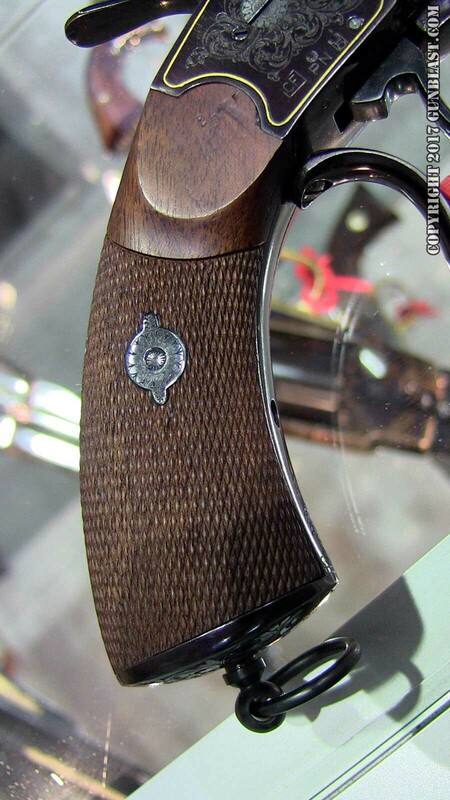 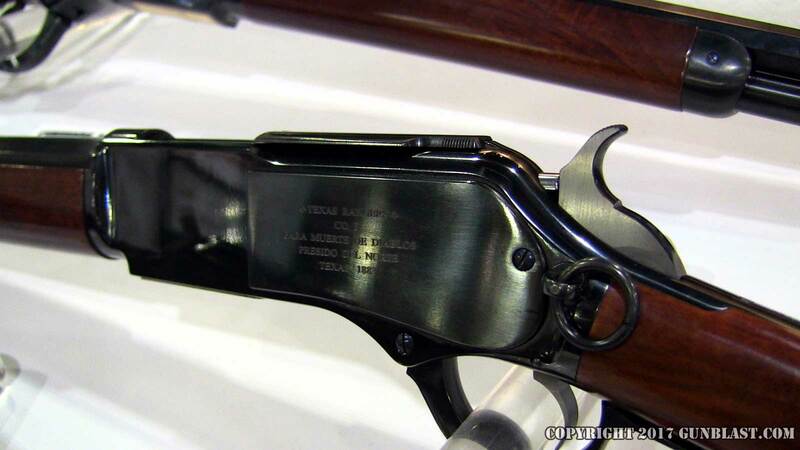 Cimarron Model 1876 "Texas Ranger" carbine. 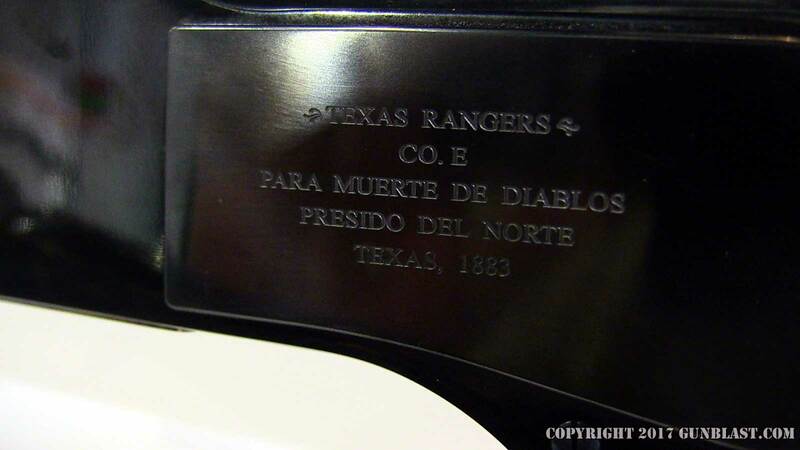 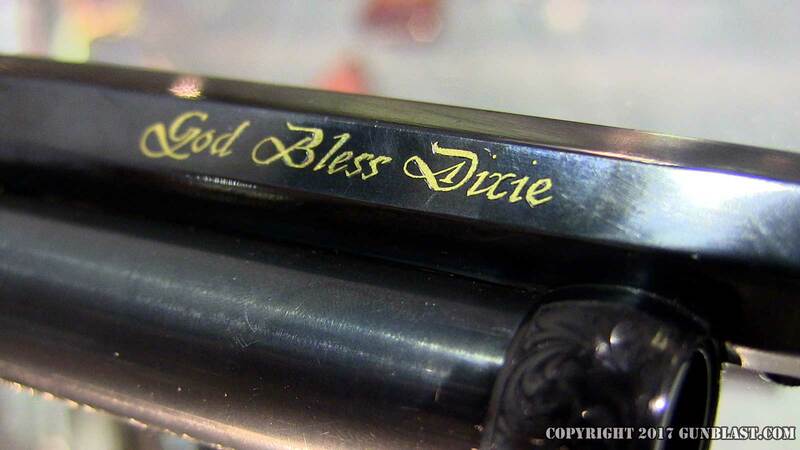 Detail of inscription on Cimarron's Model 1876 "Texas Ranger" carbine. 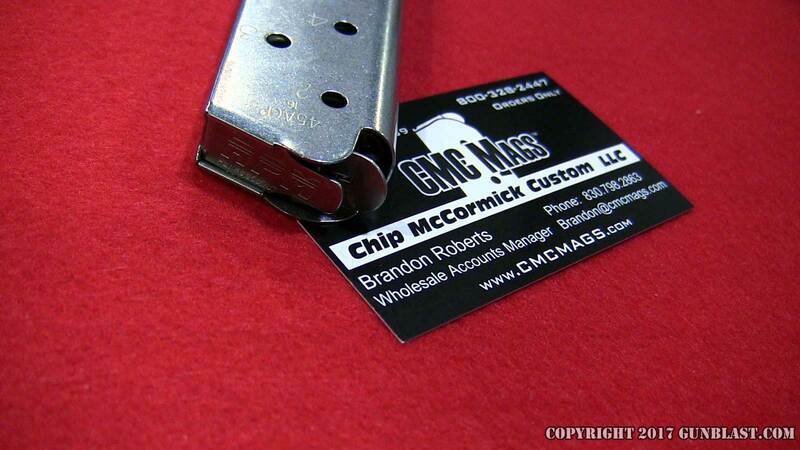 S&W Performance Center M&P 9L Ported. 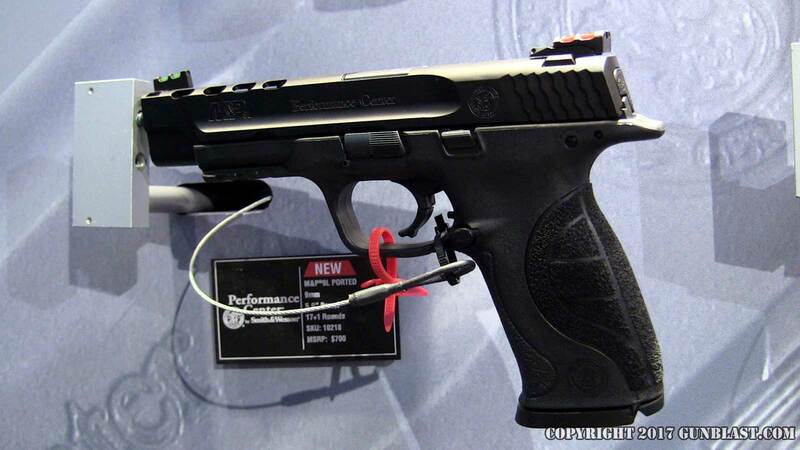 S&W Performance Center Ported 45 Shield pistol. 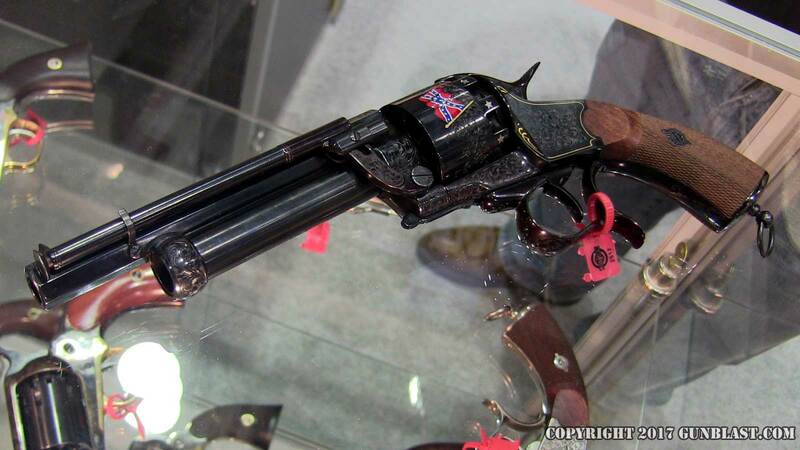 Magnum Research BFR Revolver with NEW Color Case-Hardened finish. 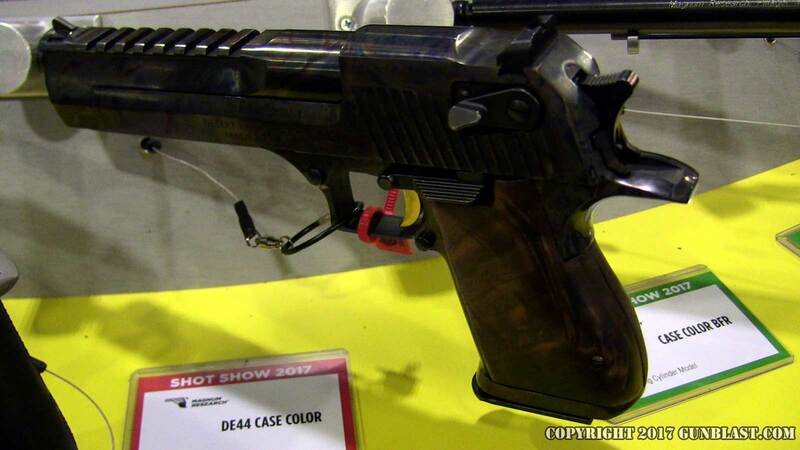 Magnum Research Desert Eagle pistol with experimental Color Case-Hardened finish. 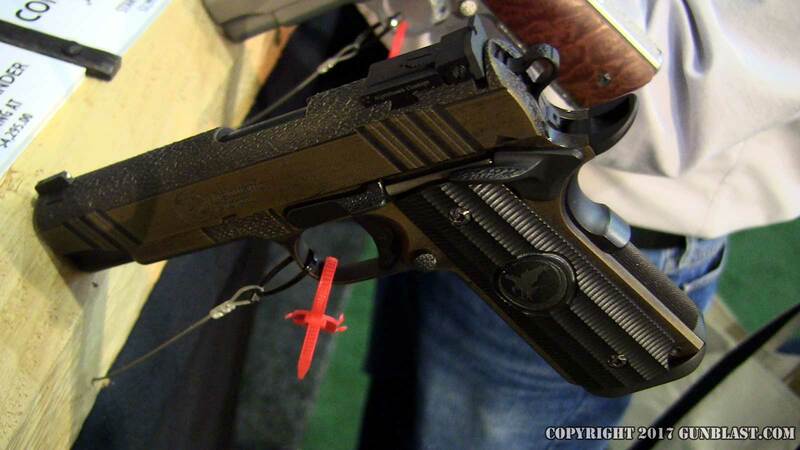 Give Magnum Research YOUR opinion of this pistol by email: info@magnumresearch.com. 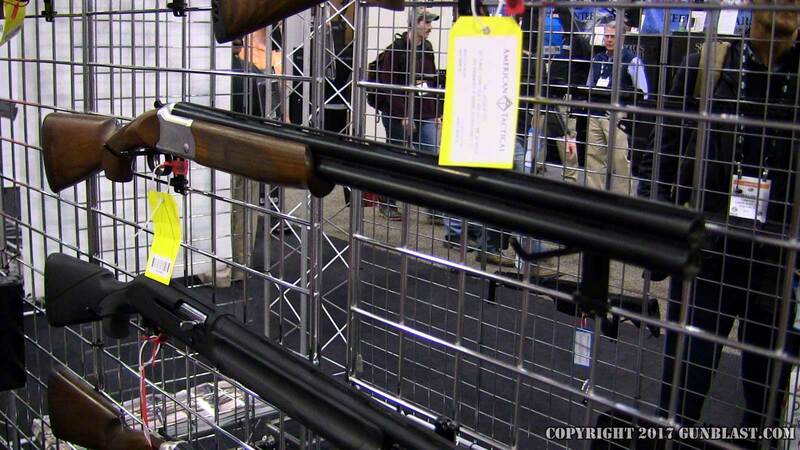 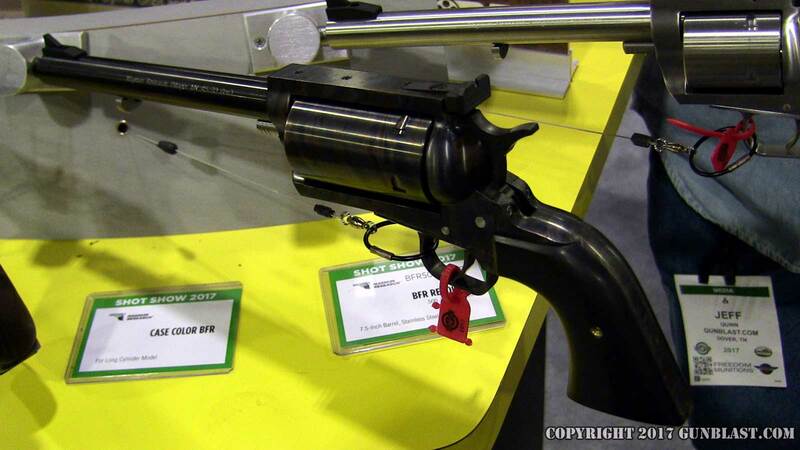 American Tactical Cavalry SX 12-gauge shotgun. 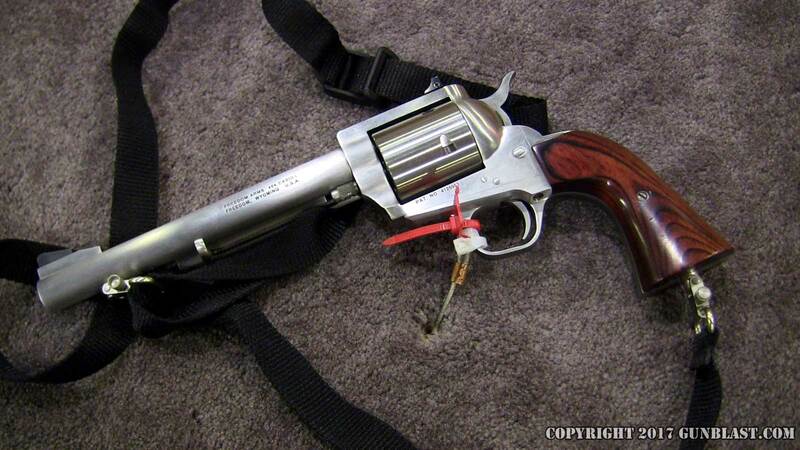 Freedom Arms Model 83 454 casull revolver. 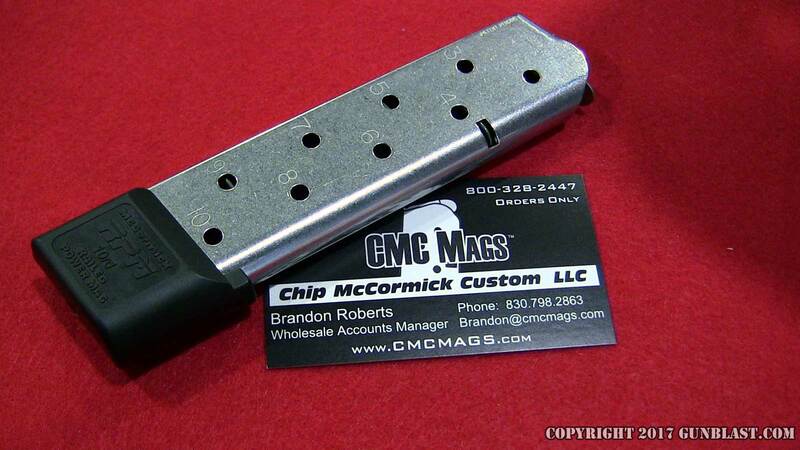 Chip McCormick's new Railed Power Magazine. 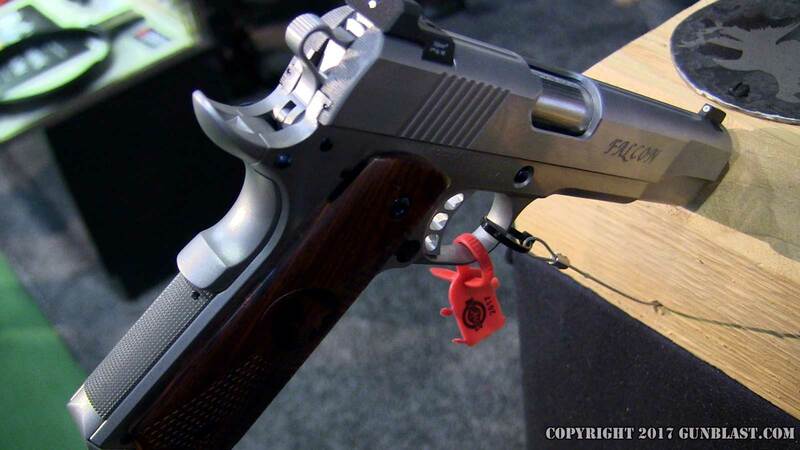 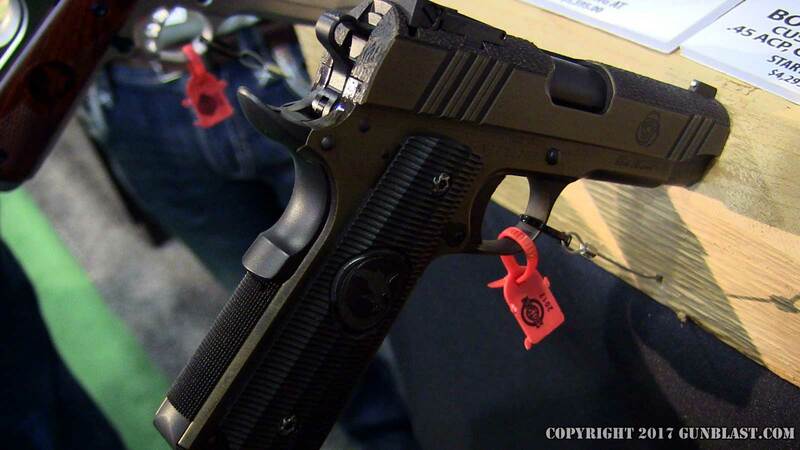 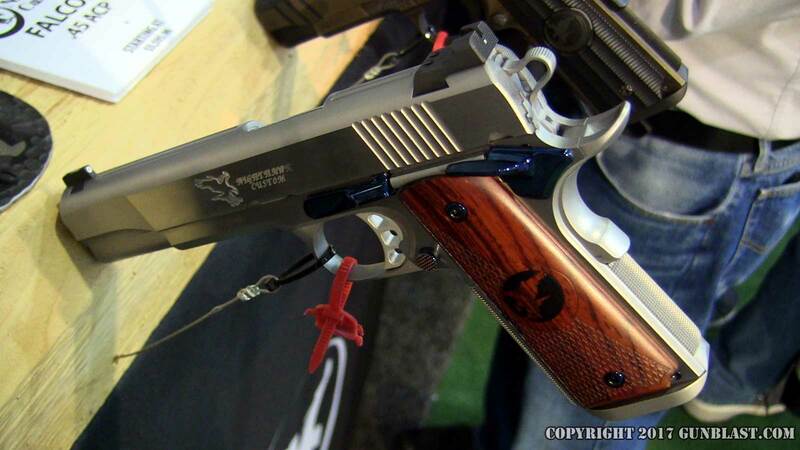 Nighthawk Custom Falcon in 45 ACP. 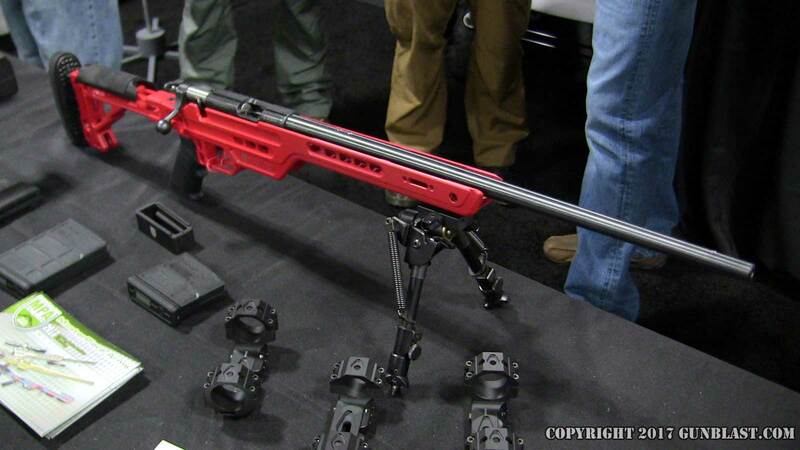 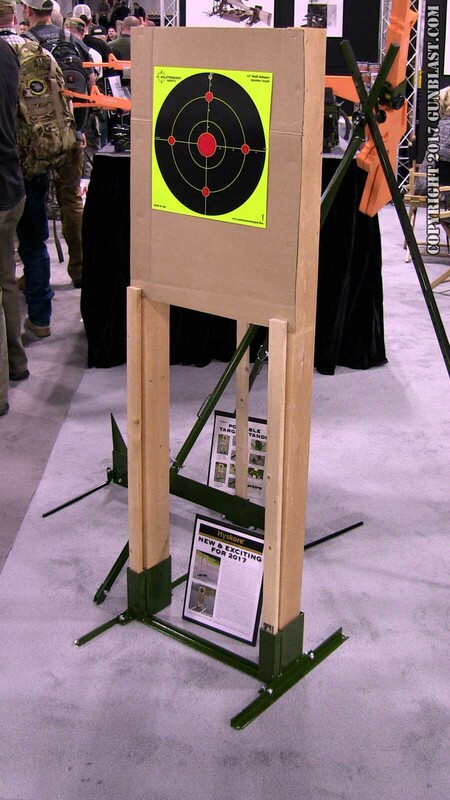 Hyskore's NEW "Target Hound" target stand. 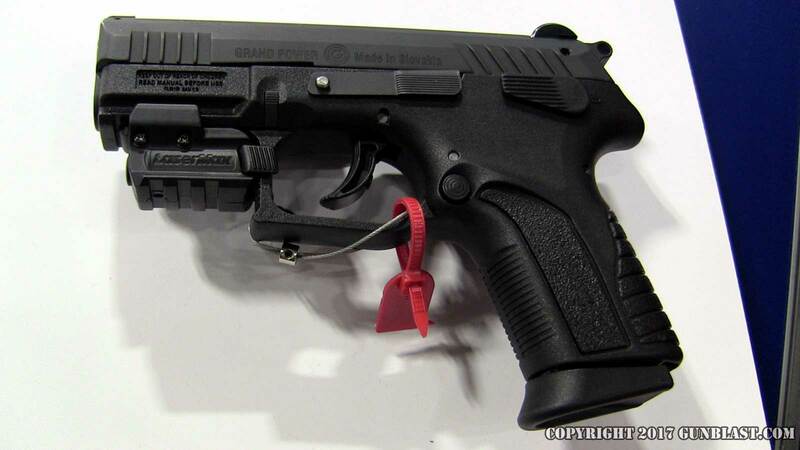 Eagle Imports Grand Power P45 pistol. 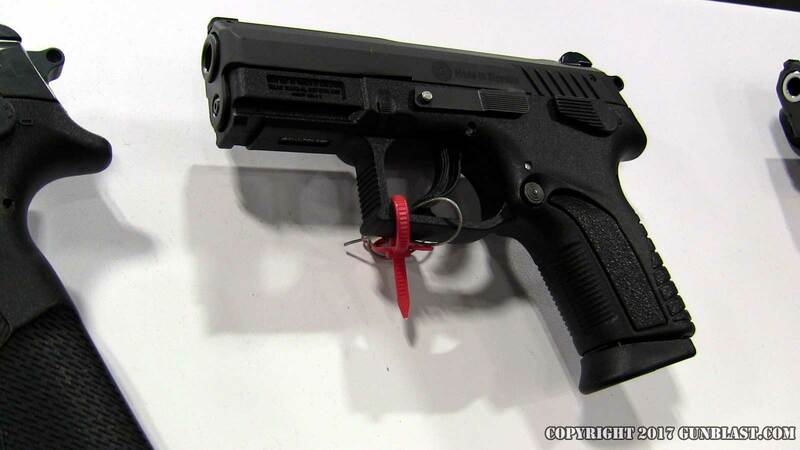 Eagle Imports Grand Power P11 45 ACP pistol. 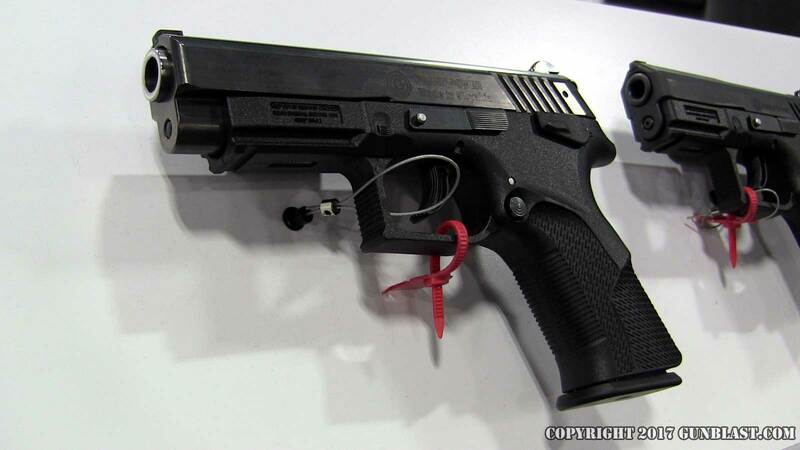 Eagle Imports Grand Power P11 9mm pistol. 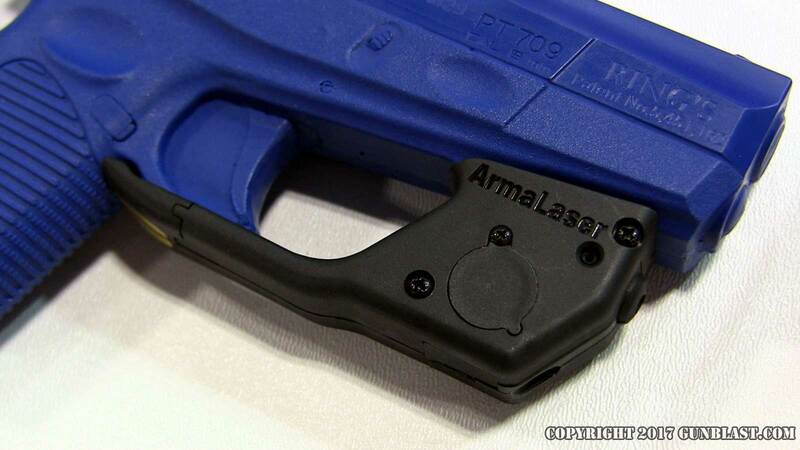 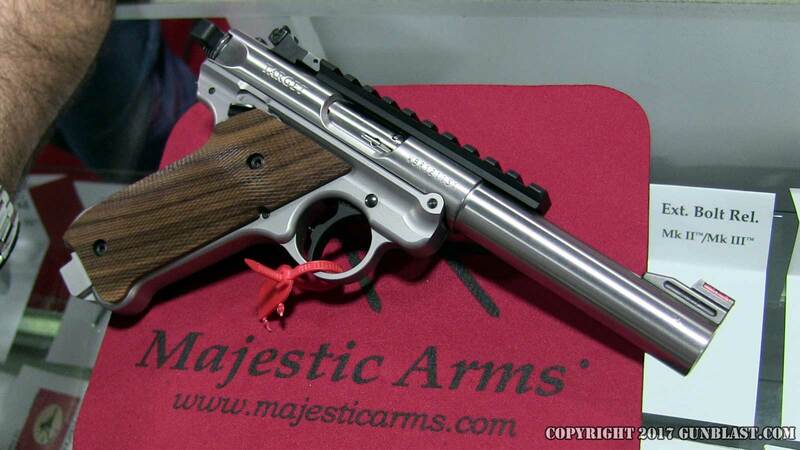 Majestic Arms Mod Parts for the Ruger Mark 4 pistol. 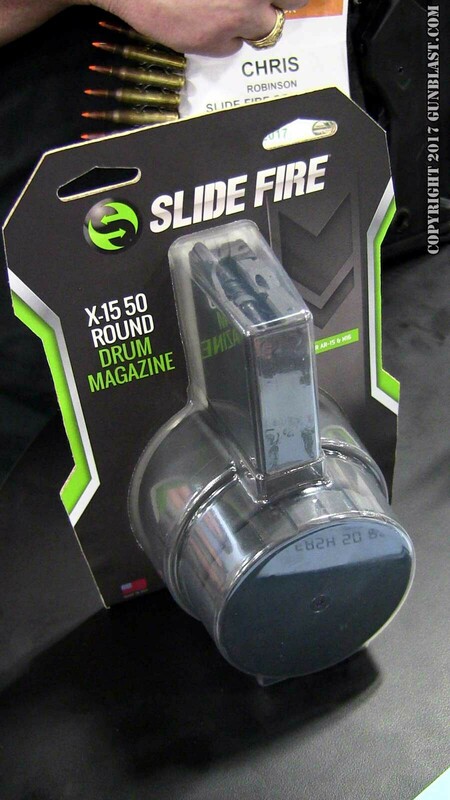 SlideFire's NEW X-15 50-round drum magazine. 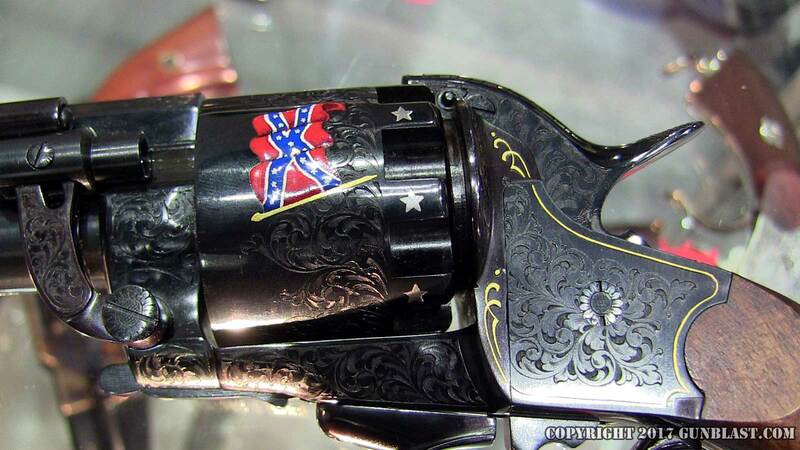 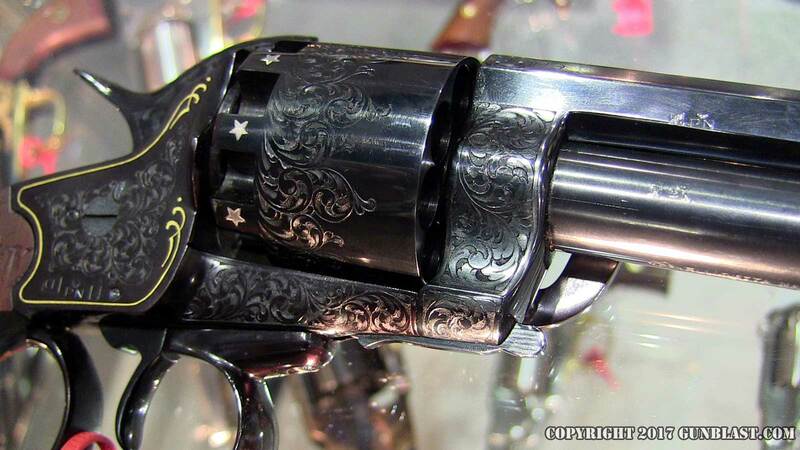 F.LLI Pietta hand-engraved Le Mat revolver.